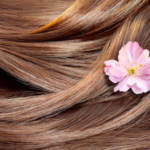 Knowing how to care for hair extensions is important when spending time outside. 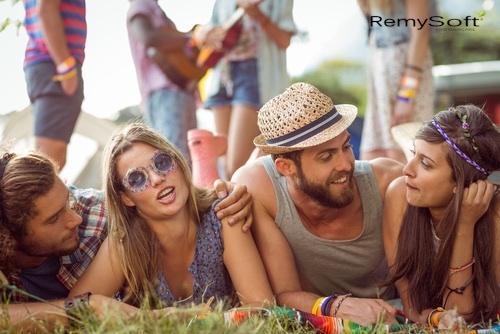 All across the country, music festivals present the opportunity to get together with others who have the same taste in music and enjoy some amazing shows. Whether you are going to see just one band or you’re in it for the overall experience, creating the perfect hair style is paramount. Understanding how to care for hair extensions, especially if you’ll be outdoors, is essential to keep them looking their best for longer. With the use of a protective hair serum, you can achieve these stylish looks. Sun protection for hair is necessary when attending music festivals. Flower power may date back to the 60s, but it’s alive and well in today’s music scene. 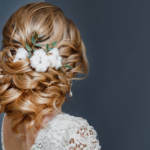 If you want to make the most of your hair extensions, consider adding a floral crown to your favorite hair style to dress it up for your time at the music festival. A floral ring can also increase sun protection for your hair as it covers some of your hair from the potentially harmful rays of the sun. You don’t need a full flower crown to create a fun look for the music festival season. In fact, you can incorporate flowers into just about any hair style, whether your hair is long or short. You can purchase a number of hair accessories featuring beautiful blooms or head to the craft store and buy a few small silk flowers that match your favorite outfits. 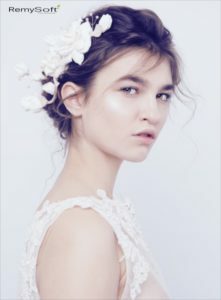 Cutting the stems short, you can easily weave these flowers into your hair extensions for a fun look. Protective hair serum will keep your hair looking great. Braids are big when it comes to music festivals. They’re easy to create and help keep your hair out of your face so you feel cooler out in the warm summer sun. To achieve this look, pull your hair back in a half-tail and braid it down the center. Use a styling iron to create a wavy look with the hair that remains down. This perfect combination of braids and waves is perfect for those who have longer hair and are using hair extensions to either lengthen or thicken their hair. Ponytails are another easy way to create a playful style for the music festival season. Pull your hair back into a high or low ponytail and add a few streaks of spray-in color to really stand out from the crowd. With a low ponytail, you can even add your favorite baseball cap to keep the sun out of your eyes and provide some additional sun protection for your hair. Finding the perfect hair style for music festivals is fun and easy. There are so many options available, many of which are made even better with the addition of hair extensions. 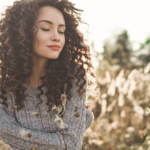 As long as you use a protective hair serum to prevent drying out in the sun and wind, you can have beautiful hair throughout the festival and express yourself in new ways. If you’re looking for the best products to help you care for your hair extensions, contact us. RemySoft Solutions offers a number of quality hair care products for hair extensions and wigs.